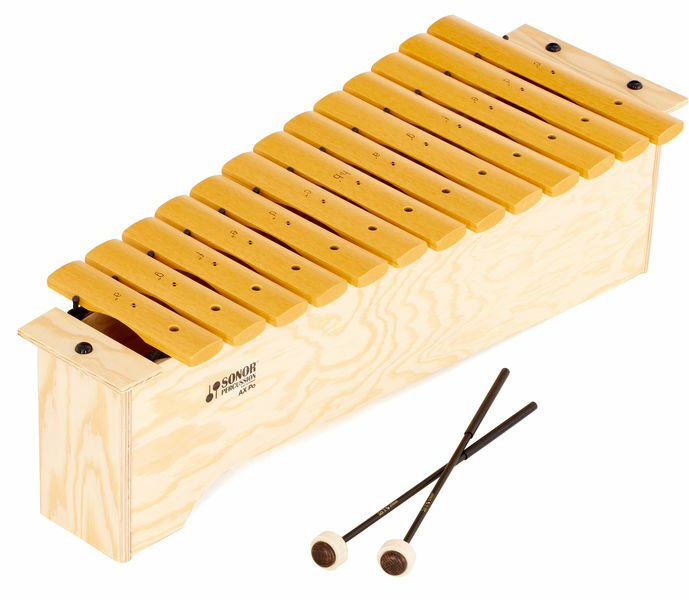 Alto XylophonePalisono is a reinforced fibreglass material developed by Sonor in collaboration with a specialised company, and the sound properties of Palisono are ideal for the production of xylophones. In addition, Palisono sound plates offer the advantage over wooden sound plates that they cannot absorb moisture and thus guarantee a lasting tuning. ID: 135990 © 1996–2019 Thomann GmbH Thomann loves you, because you rock!